This is certainly the most frequently asked question I receive. And it is a great question because it can have a large impact on your portraits and how comfortable you are having them taken.In general, you should dress in casual clothes that are comfortable and cool. Shorts, slacks, sun dresses, and light weight tops all work well. Select white or pastel colors for tops. These can be mixed or matched among family members for a variety of looks. However, it is best to use colors that coordinate well together. Pairing colors with khakis or jeans results in great looking photos.Many families choose to wear the same color top with slacks or shorts. This makes for a very attractive beach portrait. Other options include having the men in one color and the women in another color or the women in white sun dresses.White and khaki is a very popular color combination and is great when used in early morning or late evening sessions. This color style goes well with the beach and makes for an excellent portrait. One drawback of this combination is that on very bright days, the white tends to reflect and can result in a loss of clothing detail in the photograph.With multiple families or large groups, not everyone has to be wearing the same color although it would be perfectly acceptable to do so. A very popular theme is to have each family unit dress in the same color combination and coordinate the colors of the different family units in the group photo.Here are a few recommendations for what not to wear. Usually, mixing different prints, stripes and patterns result in a less pleasing photograph. You can use matching patterns with good results but typically solids are a better choice. Many of the poses used in the photo session involve sitting on the sand. Short skirts can be difficult for the ladies to sit on the sand in so choose something that you can be comfortable wearing.Bare feet are the norm for a beach photograph but be sure to bring some type of flip-flop or sandal for walking to the beach. Many of the beach paths have sand spurs along them and getting one of them in your foot can be painful.Keep in mind that the beach is usually a little windy and it is prudent to be prepared for the wind. Bring with you items such as hair spray, comb, brush, hair bands, or any other item that will help to keep your hair in place. Fine hair is not likely to stay in place without some help. For those that can wear a pony-tail, this would be a great answer to controlling hair. Whatever method you use, prepare in advance for this issue and it will result in better photographs.A couple other points of caution. Be careful not to get sun-burned prior to your photo session. This is especially important when tan lines show. The contrast between the areas that are sun-burned and not, do not photograph well. Tans look great in the photos but sun-burns do not. Also, less jewelry is better and beware of using lotions that are oily. The sand will stick to your skin and can be difficult to brush off. And for the men, eliminating the five-o’clock shadow prior to the portrait session is a good idea.Prepare for your beach photo session and you will be rewarded with portraits that will please you and will be treasured forever. What's the Best Time of Day to Schedule Your Beach Portrait? When you’re planning your beach portrait, you need to consider the best time of day to schedule your photo session. After all, you don’t want to end up squinting in your portrait or worse, wearing sunglasses! We always pay close attention to the precise time the sunsets throughout the year, so that we create the best beach portrait lighting possible. Professional family beach portraits typically take from half an hour to an hour, depending on the number and ages of your subjects. Through years of experience, we’ve learned to allow a little more time for beach portraits of families with young children, so we have "wiggle room" to photograph them when they are feeling their best and their personalities are shining through! Unfortunately, the weather Maine is often unpredictable and not always idyllic. It may very well be drizzling, or extremely windy. 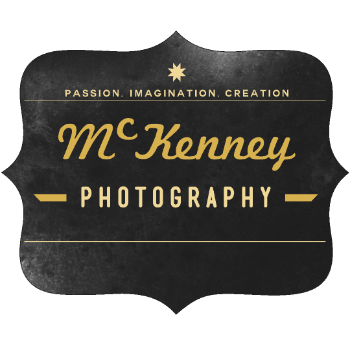 Fortunately, McKenney Photography has the professional experience necessary to capitalize on these types of weather scenarios and we’ve achieved some of our most dramatic results in these situations. But, in the event it is raining hard or the weather is just not cooperating, we’ll work with you to reschedule for another convenient time. Overcast days. Believe it or not, these can be a blessing in disguise! Overcast days can help create dramatic skyscapes that will can help to enhance your images. Overcast days also allow us the opportunity to photograph earlier in the evening. Of course it is a bit hard to predict ahead of time, so moving your session earlier in the evening is normally a day of decision. Decide if you want your beach portrait to capture the many natural elements found on our beaches. Sunrises, high tide, clear skies and sunsets are common backdrops for beach photos and each gives a different spin on your photos.Consider using both props and activities to enhance your family's beach portraits. For example, colorful beach balls or simple sand castles are perfect beach themed activities. However, flying a kite or running along the surf in long-sleeved white shirts and jeans both rolled up can create wonderful, more active portraits. What About Fido and Fluffy?We love dogs, but not all beaches do! While we welcome families to include their favorite pet in their beach portraits, please be sure to check local ordinances, since not all beaches are "pet friendly." And be certain that your pet is comfortable and controllable enough to spend an hour or more at the beach.